Thistle is the common name of a group of flowering plants characterized by leaves with sharp prickles on the margins, mostly in the family Asteraceae. 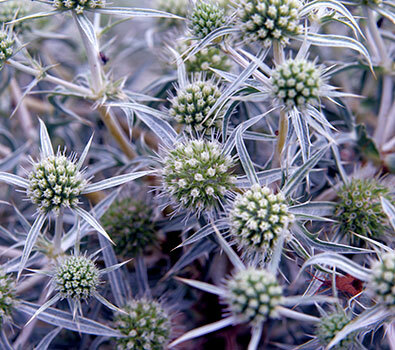 Prickles often occur all over the plant – on surfaces such as those of the stem and flat parts of leaves. These are an adaptation that protects the plant against herbivorous animals, discouraging them from feeding on the plant. Typically, an involucre with a clasping shape of a cup or urn subtends each of a thistle’s flowerheads. The term thistle is sometimes taken to mean exactly those plants in the tribe Cynareae (synonym: Cardueae), especially the genera Carduus, Cirsium, and Onopordum. However, plants outside this tribe are sometimes called thistles, and if this is done thistles would form a polyphyletic group.